As many of you know we had a cyclist down in Provo yesterday. He was hit by an SUV at the FrontRunner crossing at 600S 700W. From what we have been able to gather he worked for BYU for 30 years was getting ready to retire this year and had taken yesterday off for some bike riding and bicycle maintenance before he was struck and killed early Friday morning. 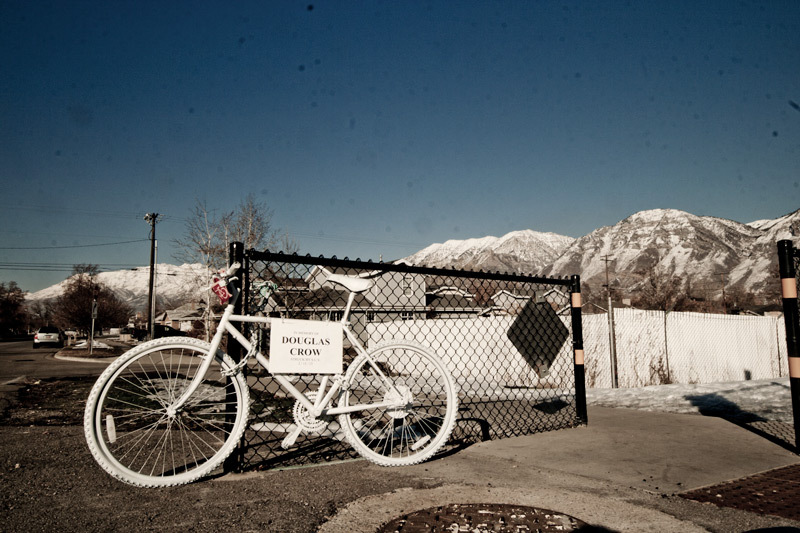 The Provo Bicycle Committee is trying to get in contact with the family so the city can hold a ride of silence in solidarity for our community and support for the family if anyone knows how to contact them please send us an email. 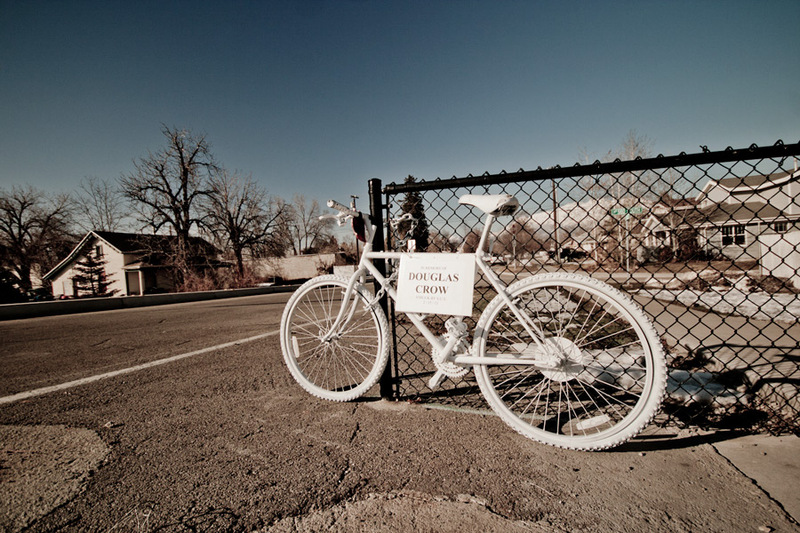 Fellow rider and commuter Kent Moos got with the Provo Bicycle Collective and erected this ghost bike memorial today around 3:40pm. If you have a chance stop by to pay your respects. They also left some markers if you want to leave a message on the board. This is a sad time for our city and our community. Our hearts go out to Douglas’s family at this time. We will keep you updated as more info unfolds. 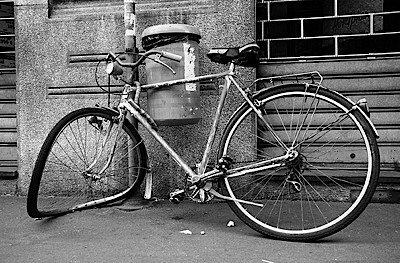 For now ride safe and ride strong. Residents and downtown business owners are invited to find out details of the event and share their ideas for programs and activities – join us on Thursday, Feb. 7 from 4 to 7 Squatters Pub – 147 W Broadway, Salt Lake City, UT 84101. 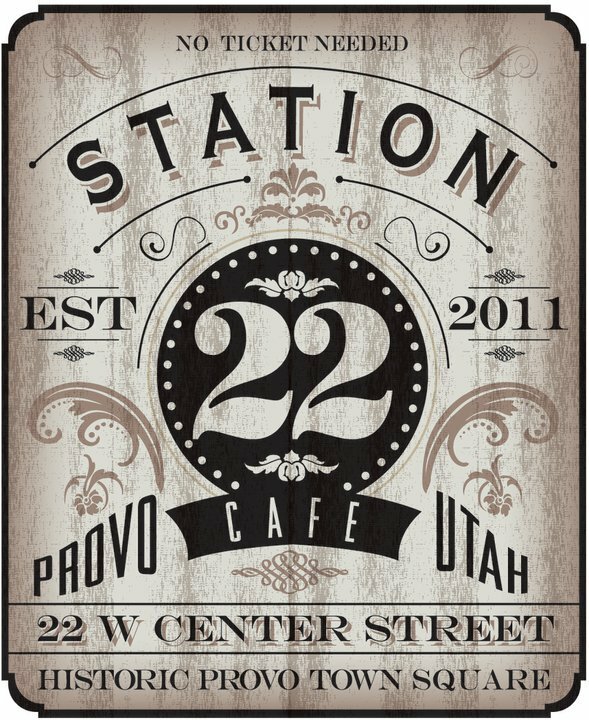 If you are a resident or business owner in Salt Lake I highly recommend that you go and add to the event planning and ideas. 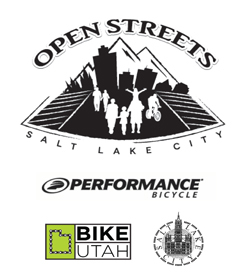 They also have a great page set up to educate you on Open Streets and the idea of Ciclovias if you missed the Rock and Roll in Provo last year on Center Street. The second awesome thing from Salt Lake is this great little video done by DowntownSLC. The video features rider Tim Jones and his bicycle adventures of returning a book to the library. If you follow the video to YouTube there are a few other ‘I am Downtown’ videos you can check out for inspiration to make your own Downtown Provo bicycle commercials. A big thanks to Tom Millar at SaltCycle for the tip off’s. This video is just beautiful. If anyone speaks Portuguese it would be great to get a translation. I especially like the bicycle escalator ramp at 00:26. We need one on the bike path up University Parkway, and yes they already exist. BYU has not always been known for being the most bike friendly campus around. There have been movements and proposed movements over the years that would actually suggest that the campus was unsupportive of bicyclists and bicycles in general but, that is all about to change. BYU has announced two incredible projects that will increase the ease in which students can use bicycles not only on and around campus but also in and around our wonderful little city (Thank you Phil for the tip off). The first announcement has been in the works for a while and was fist officially announced yesterday. BYU will be closing Campus Drive to cars and opening it up entirely to pedestrian traffic! The plan is for the campus to piggy back on the construction that has been on 900 E starting this spring. The whole process is planned to be completed in 2015 and will yield a more ‘beautiful’ and ‘unified’ campus not to mention more options and reasons to walk/ride to campus. There are also potential plans of expanding student housing and making it car free! Do not worry if you use the bus as BYU is working closely with UTA to keep everything flowing smoothly. To add to this incredible new environment that BYU is producing they have also begun a Bike Sharing program on campus! 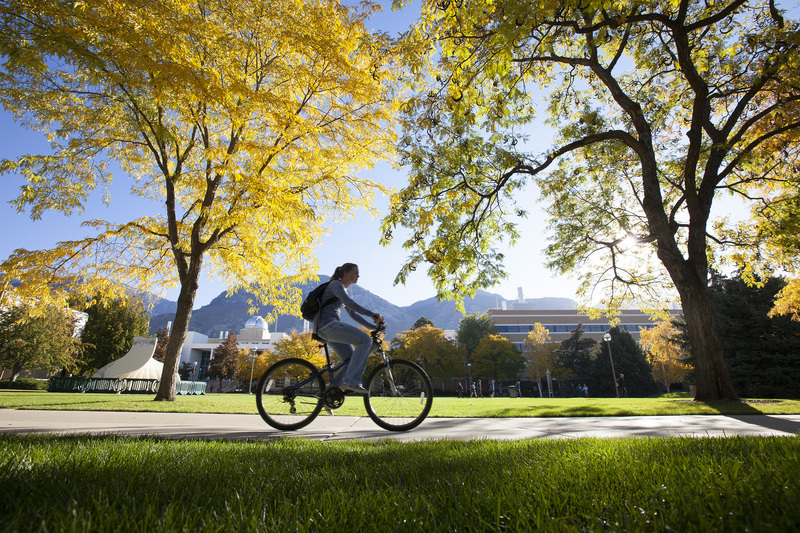 Students at BYU are now able to contact Outdoors Unlimited and rent bicycles for a term or a full semester. The rentals are very affordable at $15 or $30 a semester, and include a lock as well as maintenance when ever it is needed. The only thing I can add to an already awesome deal is that the students renting the bikes also get some sort of how to ride in Provo information so they obey the rules to the road. This rental program will be a great benefit for students who do not bring cars to campus and want to test out the waters or riding around before they commit. It will also help students get on a little bit nicer bike than they may be able to afford letting them enjoy and appreciate riding around instead of dreading it or having to worry about riding around on something that is broken and squeaky. If you can not tell from all the exclamation points I think that both of these programs will enhance student life by increasing transportation options and promoting healthy alternatives as well as our city in general, by setting great models in road design, and by getting more people on bikes. Way to go BYU! Almost done with an awesome post on handeling the inversion. Until then check out the animated gif world of What Bike Racers Should Call Me (some posts may have a coarse word or two). 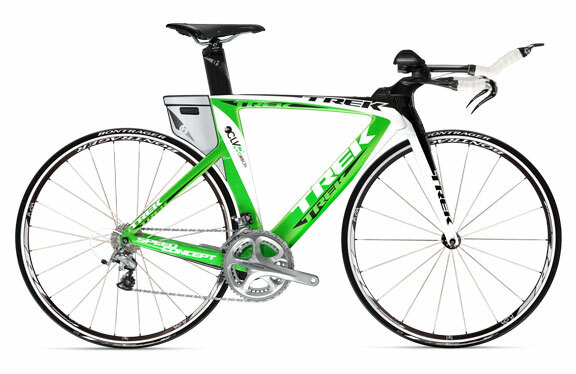 Admittedly the site leans a little to the racing scene but there are plenty of gems to be found for all bike nerds, such as the one below. Enjoy and get ready for an inversion riding guide soon. This ad from Bike n Hike in Portland always makes me smile because I can relate to each type of rider. I believe it was made for some contest that was going on last year. Either way thanks UrbanVelo for the reminder. Our hiccups have turned to pneumonia. We are hoping to back up soon. We are very sorry for the delay. We are back up and running! There may be a hic-up or two along the way, but we are stoked to be back on again. As the title says our being back on is tempered with some sad sad news. 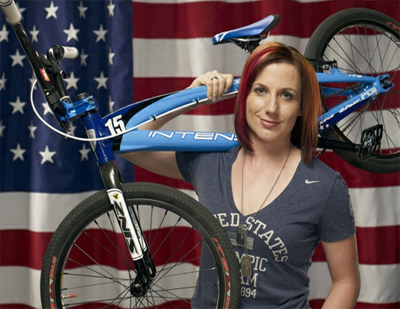 Arielle Martin, the Olympic BMX racer from Utah Valley, has just had a serious crash during what was going to be her last practice lap before her Olympic debut. The crash lacerated her liver, and caused pneumothorax (collapsed lung) in her right lung. Her injuries were initially life threatening but she has since been moved to a trauma unit, and is expected to have a full recovery. We hope that Arielle has a speedy recovery, and are looking for a way to let her know we are all thinking of her. For now head over to her Facebook page, and add your thoughts/words of support.